Use the promo code CMS28 and receive 10% off all Teachers Pay Teachers' products. Take an additional 20% off all of my products at TpT. Here is a fun way to spend some time if it is snowing outside. 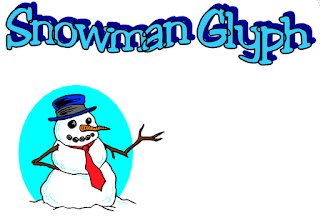 The glyph has the children putting different items on a snowman according to how they feel about winter. 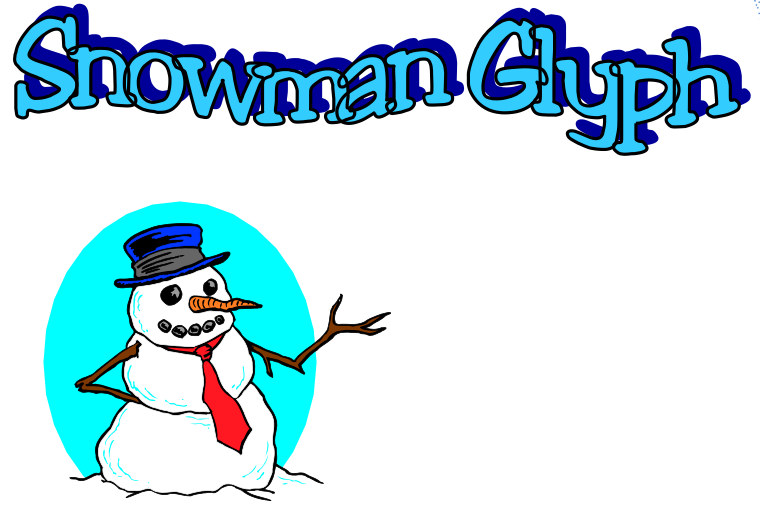 Students are to finish this snowman glyph using the eight categories listed below. Examples of the first three categories can be viewed on the short version. 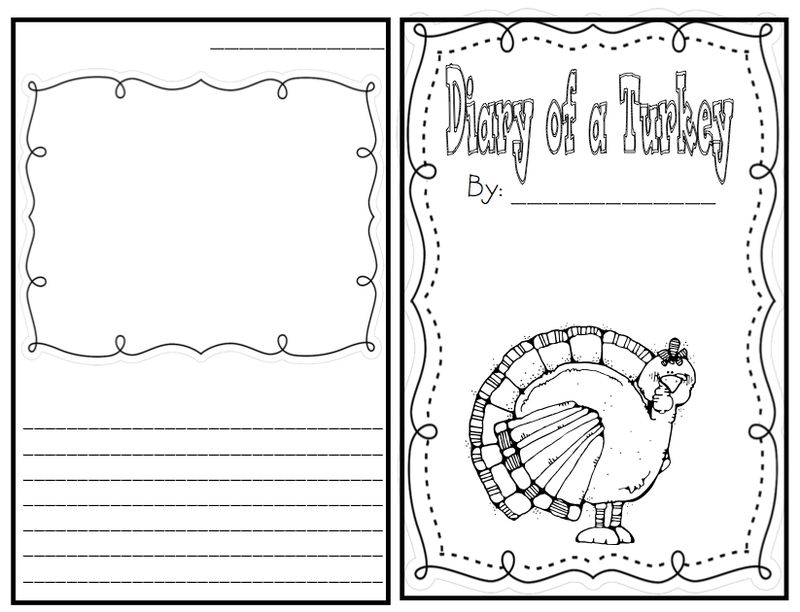 So that each student has the same snowman to start with, an outline is provided on page 4 of this six page activity. This handout also contains a page where the students are asked to identify the characteristics of someone who did their own snowman glyph. An answer key is included. 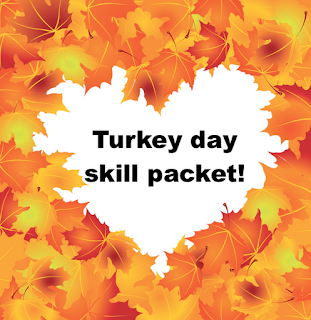 Kindergarten and Preschool teachers can easily adapt this activity since the instructions include pictures. 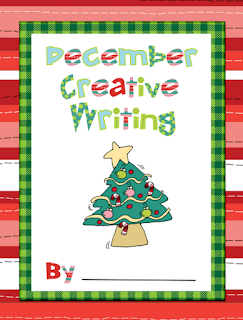 Allow your students to develop their creative writing skills with this fun holiday themed book. It is full of cute clip art and creative writing prompts that will really get your students to think outside the box! The TpT Cyber Monday Sale is on November 28th! Use the promo code CMS28 and receive 10% off all products at www.teacherspayteachers.com. Take an additional 20% off all of my products at TpT. 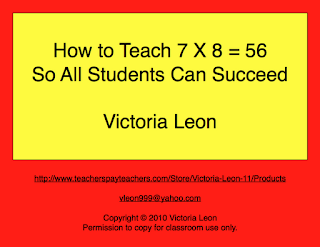 This revised 95 page product now has 134 teaching tips and 40 forms. The topics include Classroom Management, Discipline, State Standardized Tests, and gives you a step-by-step plan for the first week of the new school year. 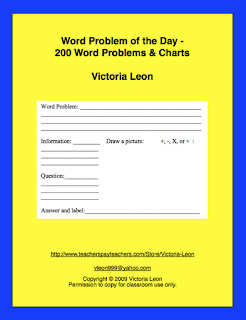 Teach the "Word Problem of the Day" to reinforce problem solving and review addition, subtraction, multiplication, and division. There are more than 200 word problems and the answers. 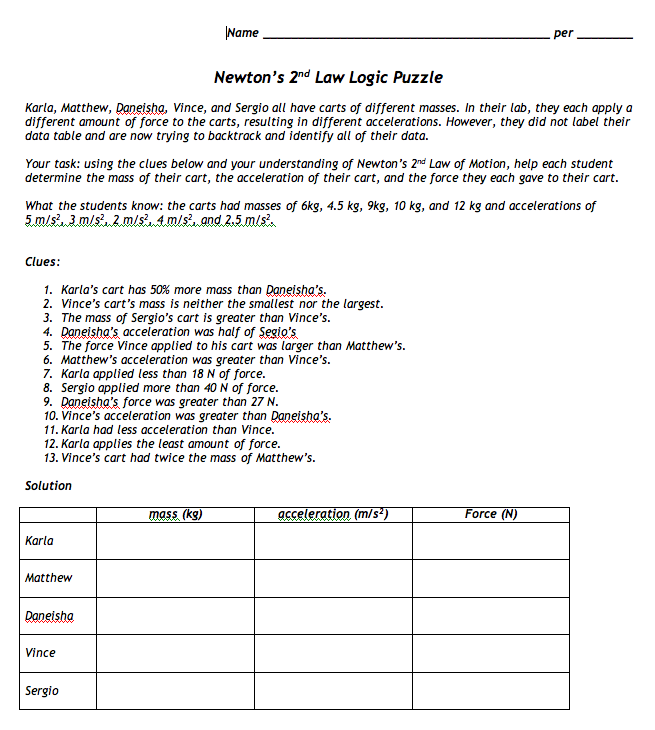 This is a logic puzzle which requires students to use their understanding of the algebra involved in Newton's 2nd Law of Motion (F = ma) to solve correctly. The masses and acceleration are given but not attributed to a particular student, and the instructions are to help the students figure out the masses of each of the carts, the acceleration of each of the carts and the force applied to each of the carts. There are five sets of each piece (Force, mass, acceleration) of data. I use this as a fun wrap-up of Newton's 2nd Law of Motion with my 9th grade physics and 9th grade physical science classes. I will be posting about fifteen FREE Holiday activities between now and mid-December, so be sure and check My Store often. 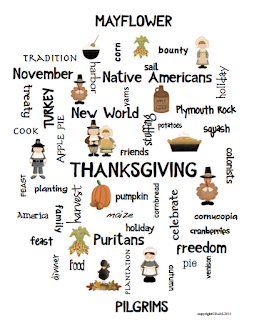 Go beyond, "What are you thankful for?" with these fun worksheets. 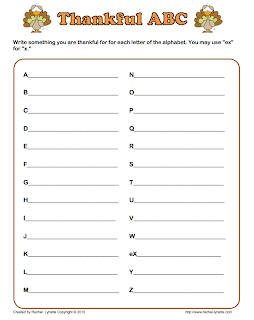 The first one asks children to think of things they are thankful for that meet specific criteria. The second has an ABC format. Not only do these questions facilitate flexible and fluent thinking, but they also get kids to think more deeply about all the things they have to be grateful for. 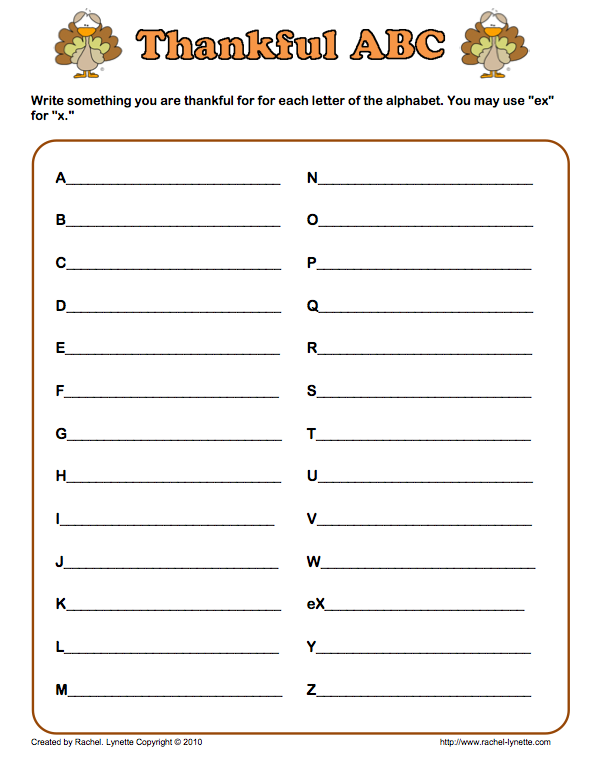 This activity is a good one for Thanksgiving, but could be used at anytime of the year. I must admit, that this is another one of my favorites! It's perfect for November and the fall! Once the students put their feather behind the turkey for attendance it looks really cute - and attendance is done for the day! Just make sure you don't save it at the end of attendance and it can be used over and over again! To only teacher-authors on the Teachers Pay Teachers' Seller's Forum: Feel free to cut and paste this submission to your blog, website, and/or promotional item...you just cannot sell it for profit. Permission was granted on the Seller's Forum on November 19, 2011...Selling Tips...Freebie Promotion = FREE ADVERTISING! This is a Power Point program to drill the Dolch sight words. This is only the first list. The Lesson Lady presents Art Bucks! 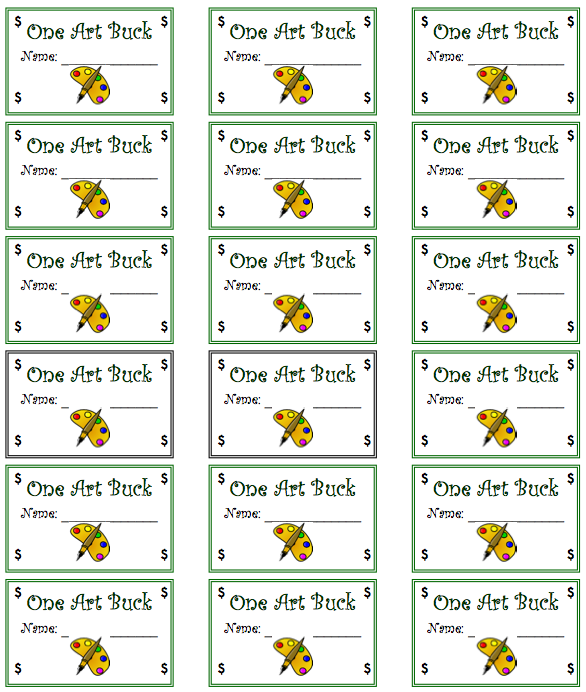 Art Bucks are dollars you can use in your classroom to reward positive behavior and attitudes. I have used these in my room and they have worked as great motivators! Art Bucks are a wonderful classroom management tool. 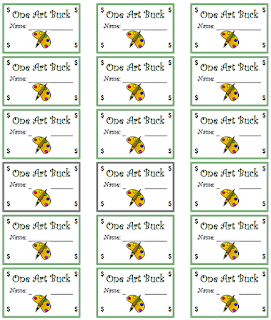 Included is a page of Art Bucks you can use in your classroom, a page with suggestions on free prizes students can pay for with their bucks, and a description of how to use Art Bucks. 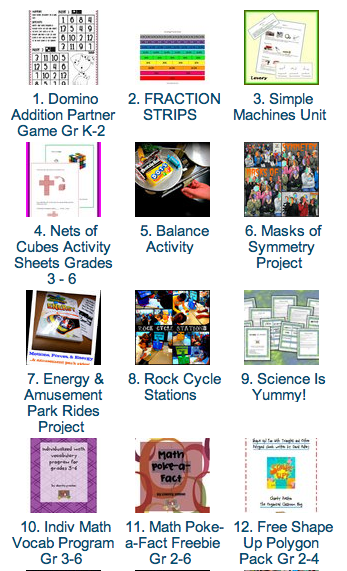 You do not have to spend money to use Art Bucks in your classroom! 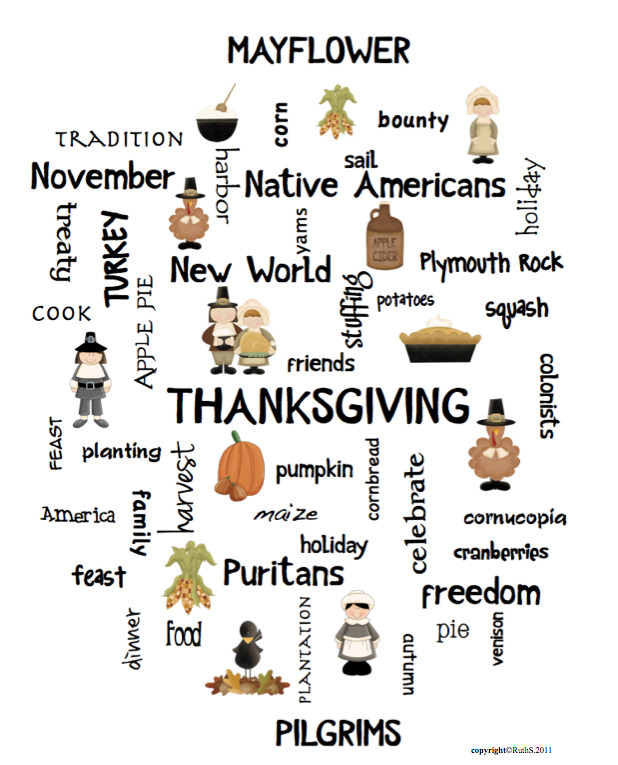 Display this Thanksgiving Word Art poster in your room and give one to each of your kids. 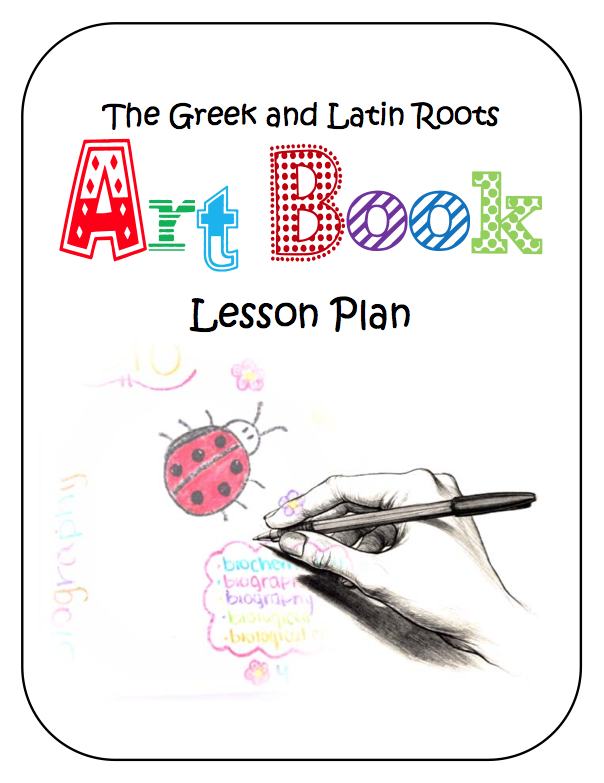 This free download includes art, music and Language Arts activities that they do with the words on the poster. 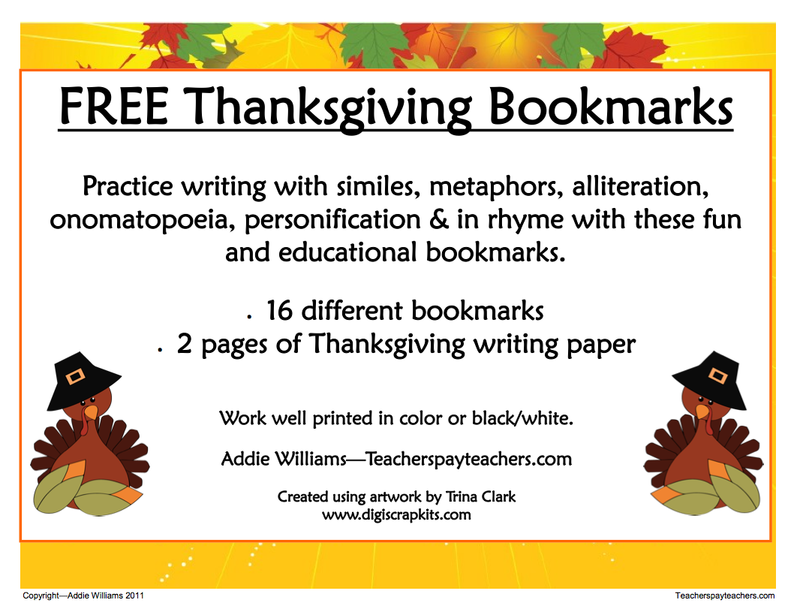 FREE LANGUAGE ARTS LESSON - “Thanksgiving Bookmarks - Figurative Language / Writing Paper - FREE! 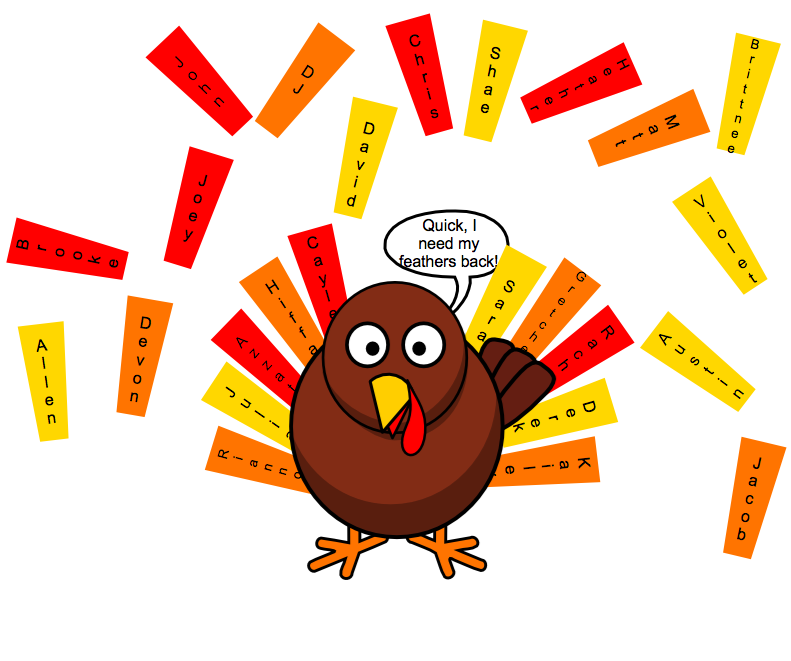 A fun and educational set of 16 Thanksgiving themed bookmarks. Students practice writing examples of similes, metaphors, personification, alliteration, onomatopoeia and in rhyme. Also includes 2 pages of themed writing paper. 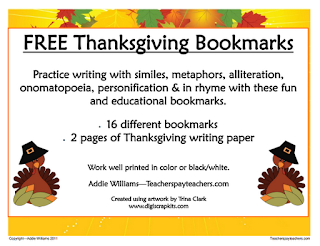 Bookmarks do not have to be printed in color - I ask students to add their own color / ideas / decorations to the front or back. 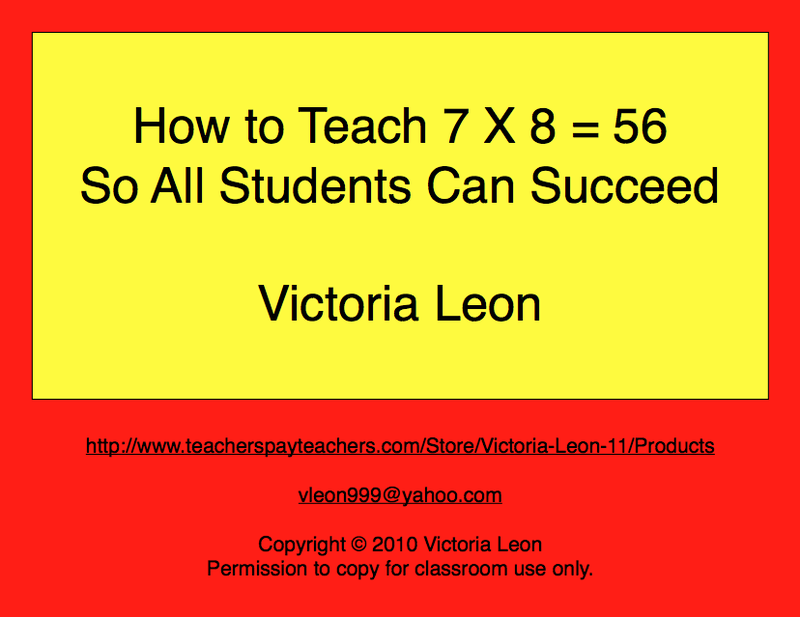 If you like this product, please FOLLOW ME on Teachers Pay Teachers for more freebies and updates on my new products. Getting on the same page w/ our middle school darlings can be easy. Using their music is one way! 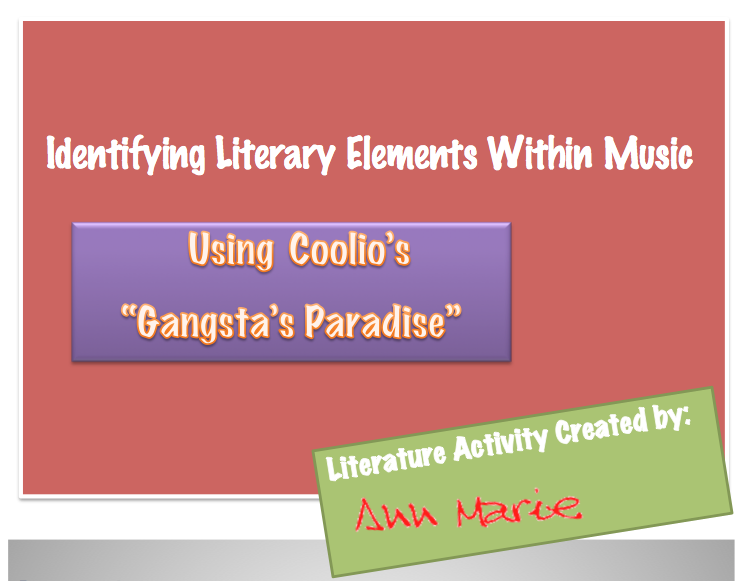 In this activity, my students listen to "Gangsta's Paradise" (Coolio) as they follow along with the written lyrics 1st! Then, they listen a 2nd time, reading along to look for literary elements discussed during current unit or prior to activity. My students use highlighters to mark literary elements, as well as make notes to identify elements in the margin. Partners work great for this activity. This relates PERFECTLY with some "hard to reach" students who just don't like English. I encourage them to refer to Literary Element handbook in our textbook & their notes, which forces them to access other resources to complete assignments! I sometimes have them compete to see who can find the most -- for prizes! 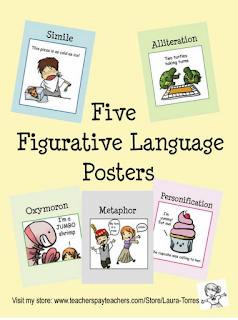 Five 8 1/2” x 11” figurative language posters with cute illustrations to make the point. Metaphor, Simile, Alliteration, Personification and Oxymoron. 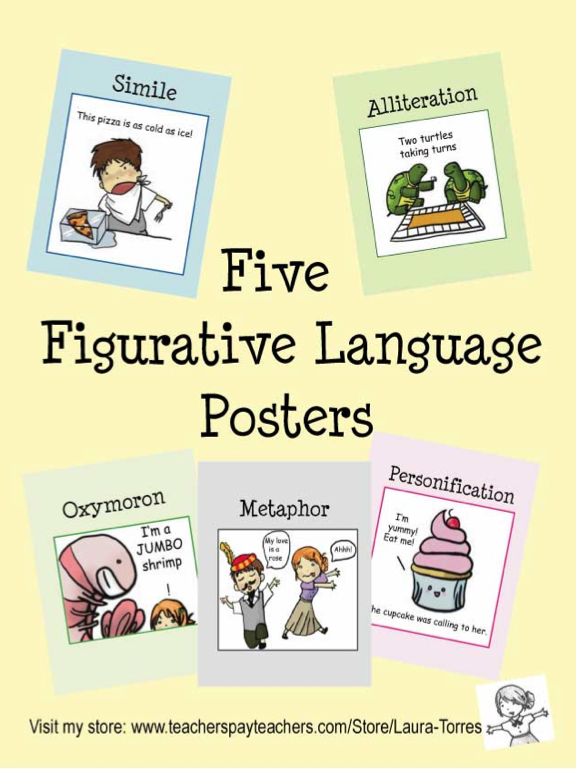 This is one-quarter of the posters you will find in the full 20 Figurative Language Poster pack in my store. 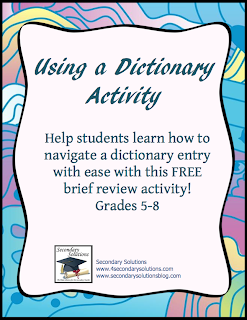 Activity to help students learn the parts of and how to correctly use a dictionary to help learn vocabulary and complete vocabulary activities. 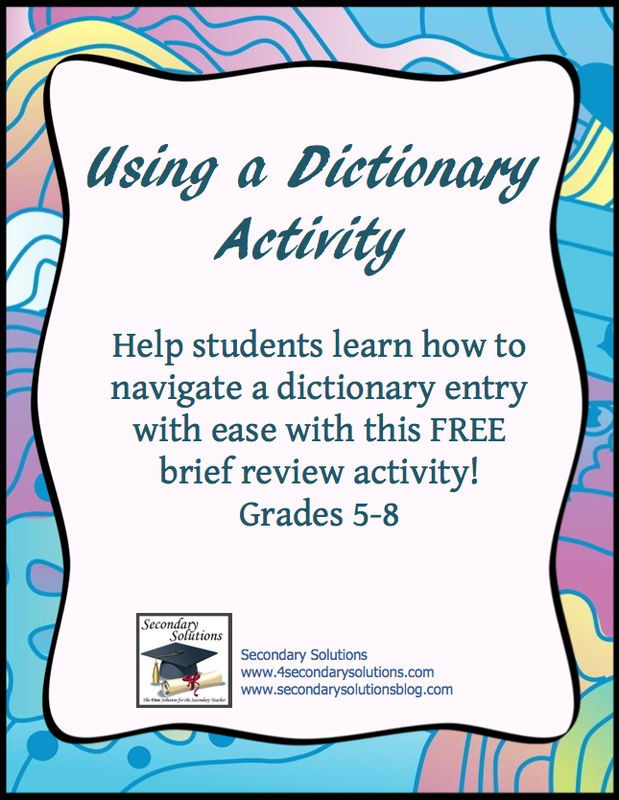 This simple two-page activity includes a sample dictionary entry, then leads students through the parts of the entry. Thanks again for stopping by, and if you do decide to purchase, please do not forget to leave feedback! I am very interested in hearing your thoughts about our products. Also, don't forget to "FOLLOW" me for exciting new product announcements, sales, promotions, and more! For more tips and tricks, please follow my BLOG! 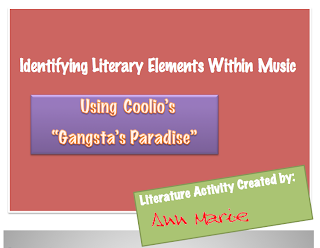 This lesson combines the enjoyment of art and creativity with vocabulary development. It is basically a mnemonic activity, designed to help students commit the meanings of the Greek and Latin stems to memory. This project can be completed in about five one-hour periods. It can also be an excellent sponge activity, something to keep kids busy in those minutes after they have finished the day's assignment before the end of class. When they say "Teacher, I'm finished with the assignment." You can say, "Good. Now you can work on your Greek Roots art book." I did this project with a summer high school English class, mixed grade levels. Classes were two hours per day. I gave them five class periods to finish. I gave extra credit for coloring. The more time they spend on the imagery, the more they are absorbing the meaning of the root. I can't over-state how much success I have had with this lesson. It keeps the kids interacting with roots and stems over long periods of time. 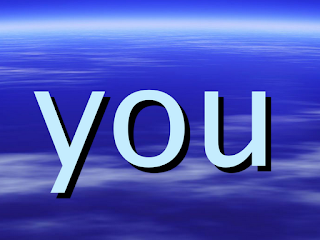 It forces them to synthesize the affixes and apply it in an original way, a personal way that has meaning for them. The best part is, it is simple and doesn't require a lot of complex input or instructions from the teacher. Just show them an example, give them the materials and the list of affixes and away they go. Research shows that vocabulary development through the mastery of Greek and Latin roots and stems is a key component to improving test scores on standardized tests such as the GRE, SAT, CST, AP exams and State standardized tests. This is a stand-alone, free product. 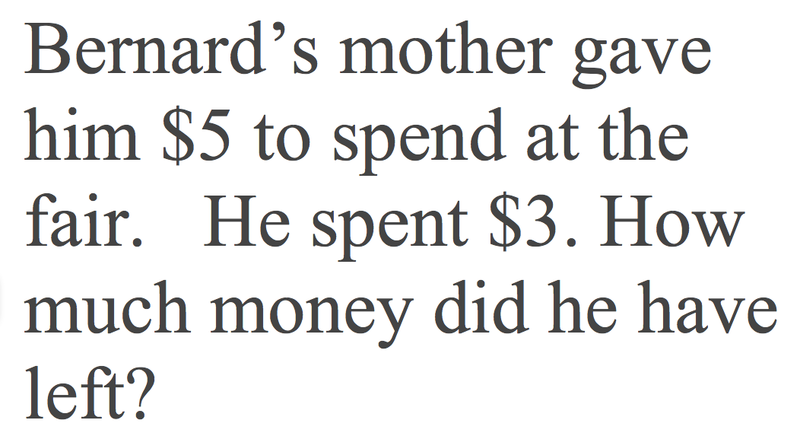 You don't have to buy any of my other products to make this lesson work. However, if you are interested in increasing the depth, breadth, and time, check out some of my companion products that go along with this lesson. 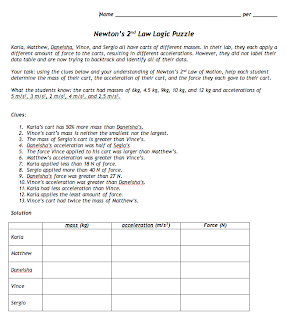 There are links to them in this lesson plan. SOLVE IT! 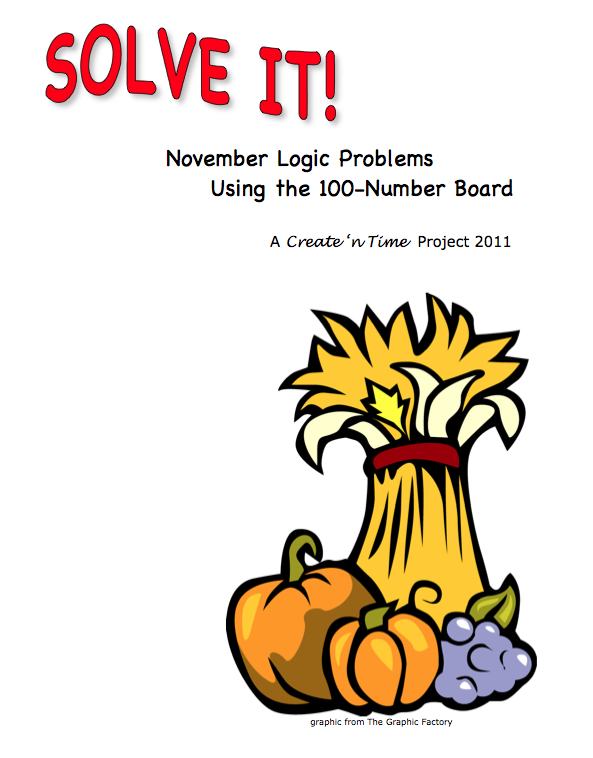 This 10-page math packet for November is the perfect way to get your students' attention right off. Use the problems to sharpen problem-solving skills and reinforce computation skills. 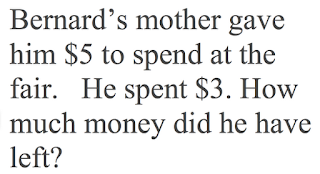 The packet includes notes to the teacher, 5 pages of math problems, and a key for the teacher. 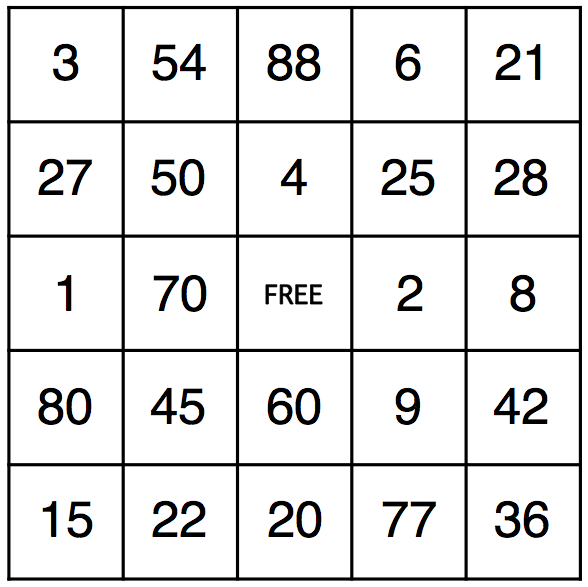 The problems use the 100-number board as an aid to finding a solution. Use 1 page a day for a great opening activity! I have students complete the problems individually and then meet with a partner to discuss and share solutions, capped by whole-group sharing of the best methods to solve each problem. Students will apply math skills and have fun in the process! To only teacher-authors on the Teachers Pay Teachers' Seller's Forum: Feel free to cut and paste this submission to your blog, website, and/or promotional item...you just cannot sell it for profit. Permission was granted on the Seller's Forum on November 3, 2011...Selling Tips...Freebie Promotion = FREE ADVERTISING! 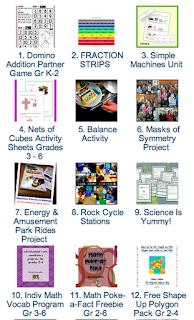 Go to “The Lesson Cloud” and see free and priced math and science lessons created by teacher-authors from Teachers Pay Teachers. the answers. 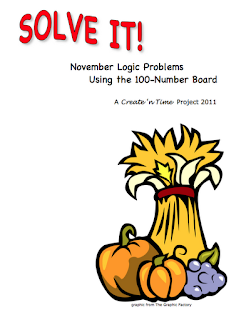 Use larger or smaller numbers to increase or decrease the difficulty of the word problems. 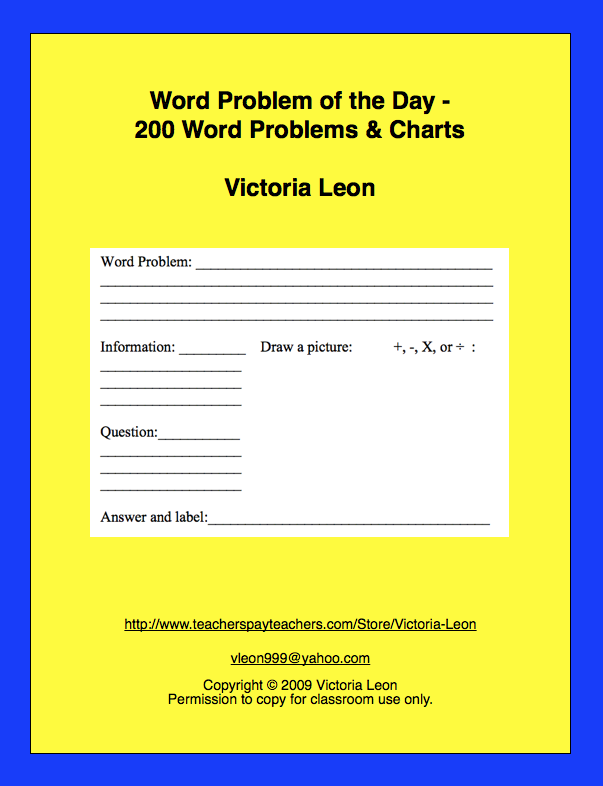 It also has word problem charts and a blank word problem worksheet for students to write the information, question, draw the picture, add/subtract/multiply/divide, and label the answer. 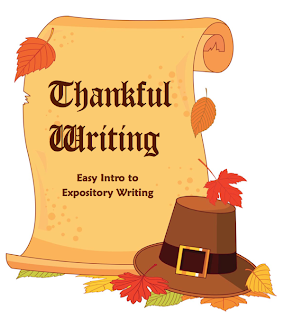 Thankful Writing is a lesson plan for teaching students to write a simple expository paper about the things they are thankful for. You'll find directions for introducing the expository format, leading a brainstorming session, and working with students as they complete Thanksgiving essays. 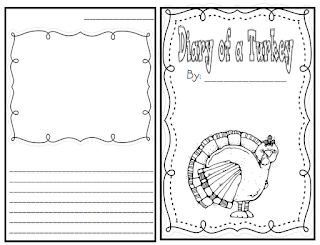 The best part is that they can decorate these essays and share them with their families on Thanksgiving Day! 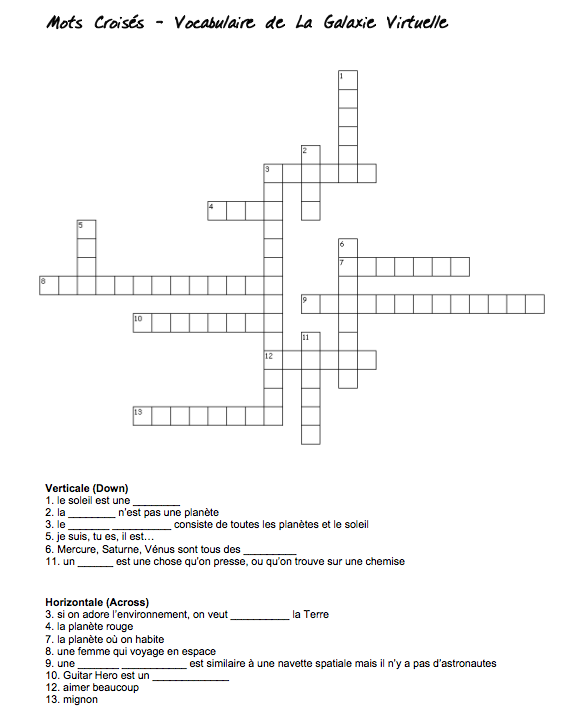 This printable handout consists of 14 vocabulary terms from the first unit of On Y Va 1 textbook (video game/space theme). 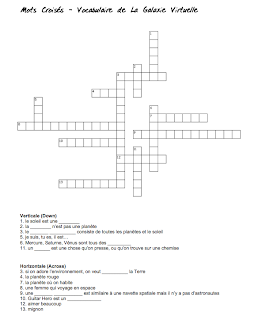 Can serve as a fun activity or even as a reading comprehension exercise, since the clues are not in English, but require the student to read short phrases or definitions in French. It includes an answer key. 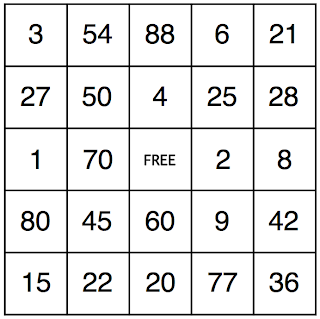 If you found this useful, please take a moment at some point to leave a comment. Your suggestions are always welcome too!